Identifying, Then Immobilizing, Stolen Assets. Identifying and immobilizing assets in a timely fashion can be paramount to asset recovery cases ranging from an ultra-high net worth divorce to a forced collection proceeding against a debtor. Suspending Suspicious Transactions was published during July 2013 by the World Bank. It examines the role Financial Intelligence Units, (‘FIUs’), can have in freezing assets and/or postponing financial transactions at banks. Suspending Suspicious Transactions also supplies fact patterns showing how FIUs work under anti-money laundering/countering financing of terrorism, (‘AML/CFT”), laws. . . .
Amicus Briefs From A Texas Supreme Court Judge’s Perspective. 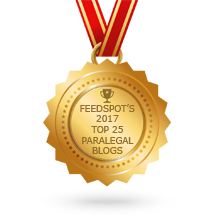 ≈ Comments Off on Amicus Briefs From A Texas Supreme Court Judge’s Perspective. This afternoon, Texas Supreme Court Justice Don Willett and Austin lawyer Don Cruse spoke at a continuing legal education seminar. Among other things, they addressed amicus briefs filed in the Supreme Court. The court requests a response to the petition for review in about 33% of cases. However, when an amicus brief has been filed prior to the time that the court decides whether to request a response, Mr. Cruse determined that the court requests a response about 85% of the time. While only 2% of cases have amicus briefs filed prior to the time that the court decides whether to request a response, it seems that those petitions are disproportionately successful in getting a response requested. The court requests briefs on the merits (a/k/a full briefing) in about 20% of cases. However, when an amicus brief has been filed prior to the time that the court decides whether to request briefs on the merits, Mr. Cruse determined that the court requests briefs on the merits about 82% of the time. While only 7% of cases have amicus briefs filed prior to the time that the court decides whether to request briefs on the merits, it seems that those petitions are disproportionately successful in getting briefs on the merits requested. Consistent with this data, Justice Willett indicated that he enjoys reading amicus briefs and that it is advisable for a petitioner to have supporting amicus briefs filed early in the proceeding (e.g., before the court has decided to whether to request a response or at least before the court has decided whether to request briefs on the merits). Microsoft OneNote – Why We Should Be Using It. ≈ Comments Off on Microsoft OneNote – Why We Should Be Using It. Hierarchical structure. You have notebooks, tabs, pages and sub-pages. For a tidy-minded person like me, this works better than using tags to categorise notes. Encryption. You can password-protect and encrypt whole sections of your notes. Familiar interface. It looks and feels a lot like Microsoft Word, which is where I spend most of my life. Evernote’s roots are more HTML and sometimes that shows in the limited formatting options. Multiple elements. It’s easy to embed and scale multiple pictures, add diagrams and handwritten notes and mix up multiple text boxes on the same page. It feels like a digital notebook should feel – flexible. Solid multi-platform support. I can – and do – use OneNote on my PC, Mac, web browser, iPhone, iPad and Android. Notebooks synchronise smoothly across all the devices. Price. It’s free on all platforms and you can use it with a free OneDrive subscription or, as I do, with an Office 365 account and OneDrive for Business. Pen support. I don’t have a pen-equipped Microsoft Surface but my Samsung Galaxy Note has a pen and OneNote works well with it. Sharing. It’s easy to share notebooks with colleagues. For example, I just created one where we can archive useful sources and web pages. Change highlighting. When someone changes something in a shared notebook, the changes are nicely highlighted when you log in. I think this is going to be an increasingly important feature. Integrations. It works with Feedly, my RSS-reader of choice and IFTTT. More integrations are happening. Capture. There’s a screen clipping app and a web page grabber that drops new content straight into OneNote pages, where you can annotate them. Overall, I’m finding that I’m spending more time in OneNote and I can see it becoming a useful tool for me and my colleagues at Articulate. What do you think? How does it compare with Evernote? Employees’ Privacy Rights, Social Media, And The Stored Communications Act. ≈ Comments Off on Employees’ Privacy Rights, Social Media, And The Stored Communications Act. A federal district court in Northern Illinois, in a rather interesting case given the widespread use of Facebook and Twitter in the workplace by employees who are looking to advance both their careers with an employer as well as market themselves better, has denied an employer’s motion for summary judgment on the plaintiff’s Stored Communication Act (SCA) claim. The case is super fact-specific and may not apply in every case, but highlights an important message to employers in the social media arena, which continues to present new and interesting issues every year. . . .
Beginner’s Guide to Landlord-Tenant Law. ≈ Comments Off on Beginner’s Guide to Landlord-Tenant Law. It is no wonder that we get a large number of questions about landlord-tenant law at the Law Library of Congress, in light of the fact that residential leasing, and the rights and obligations that stem from such agreements, is a pressing legal issue for many of our patrons. Much of landlord-tenant law is state-specific, and as such, those wanting to do detailed legal research in this area might want to visit their local public law library. However, we have collected some information below regarding books, websites, and other resources, that might help a researcher just beginning their landlord-tenant research. . . . Witness Preparation = Successful Depositions. 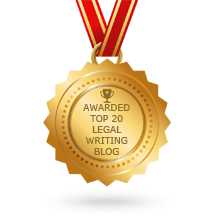 ≈ Comments Off on Witness Preparation = Successful Depositions. Jim Calloway is a superhero masquerading as the Director of the Oklahoma Bar Association’s Management Assistance Program. While that being the Director of the OBA’s Management Assistant Program may be Jim’s “day job,” Jim does far more than that. This link will tell you more about his other activities, and I have no idea where he finds the time: http://jimcalloway.typepad.com/about.html. I would add one other item. Have you looked at the materials you routinely give the client to prepare for a deposition recently? Surely all law firms have progressed past the point of giving clients photocopied deposition tips in favor of custom-prepared materials with the law firm’s name, address and logo. But if you have not reviewed your handouts lately, take a look. A good proofing and freshening is often in order. Use some different sized fonts, headers, text boxes or insert a small graphic or two to increase readability. You never know who may be looking at this document sometime as a representation of your firm’s work product. Make this a professional document you are proud to have carry your firm’s name. Is Eyewitness Testimony Always Credible? ≈ Comments Off on Is Eyewitness Testimony Always Credible? Scott Fraser studies how humans remember crimes — and bear witness to them. In this powerful talk, which focuses on a deadly shooting at sunset, he suggests that even close-up eyewitnesses to a crime can create ‘memories’ they could not have seen. Why? Because the brain abhors a vacuum. Editor’s note: In the original version of this talk, Scott Fraser misspoke about available footage of Two World Trade Center (Tower 2). The misstatement has been edited out for clarity. Victim’s Clicking Noises Qualify As Dying Declaration Under Hearsay Exception. ≈ Comments Off on Victim’s Clicking Noises Qualify As Dying Declaration Under Hearsay Exception. Three years ago Calvin Grimes lay in intensive care, paralyzed from the neck down, with a gunshot wound to his windpipe. He could not speak. All he could do was click with his mouth. In the hospital with machines breathing for him, he could not tell Columbus police who fired the shots Aug. 19, 2010, that left him slumped in a car at 543 Third Ave., with two .40-caliber bullets lodged in his trachea and his spinal canal, and with exit wounds from .22-caliber bullets in his left wrist, upper left thigh and right buttock. Because Grimes could not vocalize the names of his assailants, Detective Wayne Fairburn improvised as he questioned Grimes in the hospital Oct. 11, 201. Fairburn reported Grimes first mouthed the name ‘Jarvis” when asked who shot him. The detective then wrote the alphabet out on his note pad, and asked Grimes to make the clicking noise as Fairburn pointed to each letter, signaling the sequence to spell names. Using this method, Fairburn got Grimes to spell ‘Jarvis Alexander’ and ‘Josh Leonard.’ Two days later the officer returned with photographs of those suspects, which Grimes identified as the men who shot him. Later Grimes was fitted with a device that enabled him to speak, and relatives reported he told them the same names. Should Grimes’s ‘statements’ be deemed admissible as dying declarations? That’s a tough question, but one that the trial judge answered in the affirmative, ruling that Fairburn and Grimes’s family could testify because Grimes died on June 26, 2011. Was this the correct ruling? In a prosecution for homicide or in a civil action or proceeding, [for] a statement made by a declarant, while believing that his or her death was imminent, concerning the cause or circumstances of what the declarant believed to be his or her impending death. The article doesn’t make the time line in the case 100% clear, but it does raise this possibility: Grimes first identified his assailants when he did not believe his death was imminent, and Grimes then re-identified his assailants when he did believe his death was imminent. And if that were the case, I’m not sure the dying declaration exception should apply. The typical case of the dying declaration exception applying consists of a victim being shot, stabbed, etc. and telling the EMT, doctor etc., ‘Defendant did this’ as he believes his death to be imminent. But what if a victim is shot, and the EMT tells the victim he has a good chance of surviving. Then, the victim says, ‘Defendant shot me.’ Then, days later, the victim’s condition worsens, and he says, ‘Tell defendant I forgive him’ while believing his death to be imminent. No, this might or might not be the case for Grimes. But, assuming it is, should a subsequent statement of identification be admissible under the dying declarations exception? What Happens On Facebook Doesn’t Always Stay On Facebook. ≈ Comments Off on What Happens On Facebook Doesn’t Always Stay On Facebook. I recently attended a presentation by retired judge Jacqueline Connor on the effect of social media in the legal system. After listening to her talk about a number of highly amusing cases, I went online to see just how many such cases are now out there. I was shocked to find that in the month of February 2014 alone, there were over 100 legal opinions issued in the U.S. just involving Facebook. While some of these cases were more disturbing than amusing, there were a few gems that cried out to be written about. . . .